BestOnlineCoupons.com had contest for our users where the prize was a brand new Apple iPod Touch, and the winner was Bonnie F. from Castro Valley, California. The winning review was her review of HSN.com. 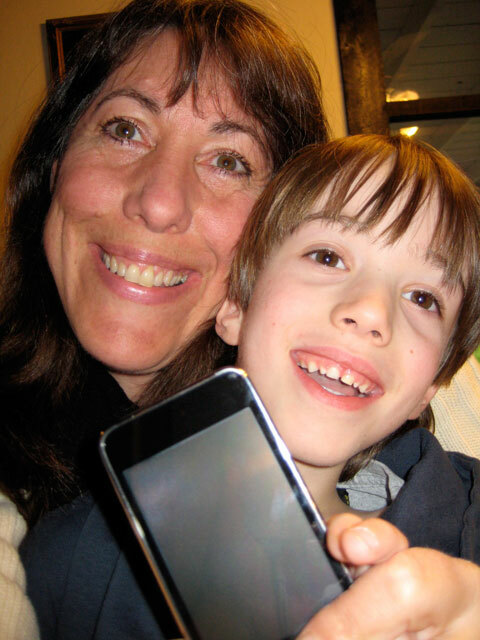 Bonnie sent us this nice thank you note about winning, and a pictures of her and her son, the day they received the prize, an Apple Ipod Touch. I want to thank everyone at Best Online Coupons. com so much for this fabulous new Ipod Touch. I honestly have been wanting an one for quite awhile now, so I was overjoyed to receive it. I am so glad that I submitted my review on your web site. For this contest we only gave away one Apple iPod Touch, but hopefully everyone that uses our coupons website feels like a winner. Our collection of discount coupon codes, promotional codes, special deals, sales bargains and online promotions can help people save in their online shopping.